Fall is here and winter is slowly approaching. You know what that means: dark mornings and afternoons, bitter cold, and heavy snowfall. No going outside. All of these are signs that point to cabin fever. Though it’s not actually a disease, it could lead to serious complications if not resolved. Cabin fever is a term for a reaction that takes place when a person is isolated or shut in a confined space with nothing to do for an extended period of time. One may feel depressed, irritable, antsy, depressed, or lethargic. Symptoms also include being on edge, angry-looking eyes, forgetfulness, sleeping a lot, fidgeting, losing the concept of time, making mistakes, or craving social interactions. Sounds rough, right? Well it’s possible we’ve all gone through it. I know I have. 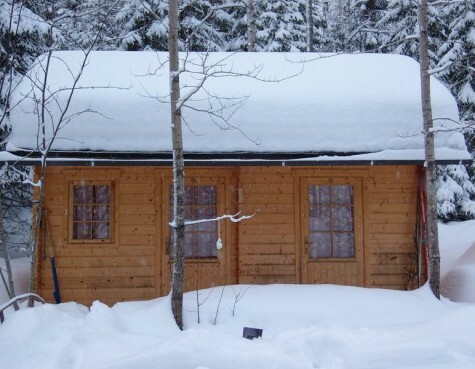 Historians believe that the term “cabin fever” was first used to describe early U.S. settlers who experienced long harsh winters alone in their log cabins until spring arrived. The term was first recorded in the 19th century (by the American Heritage Dictionary of Idioms). Historians believe that this term was also used for travelers making long journeys across the ocean who were confined to small rooms or cabins. This was also applicable during outbreaks of disease, when quarantine was necessary. “Cabin fever” may be a term we use leisurely, but it can turn into a serious issue. For those who are confined to a small space all winter long, the effects of Seasonal Affective Disorder (S.A.D.) can arise (coincidental acronym?). According to the Diagnostic and Statistical Manual of Mental Disorder, it is a major depressive disorder with a seasonal pattern. It is becoming more and more common; rates of S.A.D. can range from 1% of the population in Florida up to 10% in Maine. Symptoms are similar to “cabin fever,” but also include similar symptoms to depression. Some of these include: difficulty waking up in the morning, lack of energy, difficulty concentrating, completing tasks, or withdrawal from human interaction. So how can we snap out of it? Therapy can be as simple as getting out and interacting with the natural world. It is good to take advantage of the sun when it’s out. Being out in the sun boosts vitamin D levels in our bodies. This encourages absorption and metabolism of calcium and phosphorous. So, take off those sunglasses during the winter for a couple of minutes to soak in some rays! If you’re not at UNH, you can buy special lights to place all around your house. This way, you’re bright and cheery year-round! Another solution is to eat and live well. Physical activity produces endorphins that also help fight off the winter blues. If it’s snowing out, go snow-shoeing, skiing, or just play outside. I love snow-shoeing, especially around the local woods. Foods that contain the amino acid, tryptophan, have been shown to make you feel healthy. So, we all know of tryptophan as the funny thing that makes you sleepy after eating Thanksgiving turkey (or maybe that’s just me…). Why do you think eating loads of turkey makes us feel cozy and comfy inside? Tryptophan! Funny enough, there’s more tryptophan in cheese and chicken breast than there is in turkey. It's likely that it's the stress of cooking, baking, travel plans, family, eating a lot, etc, that make us tired. Yes, winter does mean shorter days, longer nights, and chilly weather, but it doesn’t have to be a bore! Don’t let cabin fever get you down! Check out more interesting “winter” blogs from the “Winter is Coming” Edition, written by the other fellow FTDM’ers! !